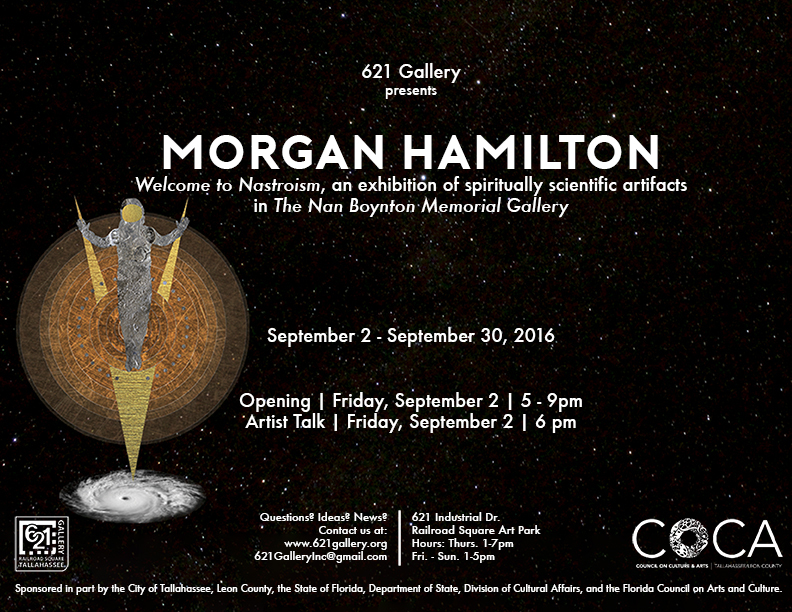 Visit 621 Gallery for September First Friday from 5 – 9PM to celebrate our first exhibition of the season! 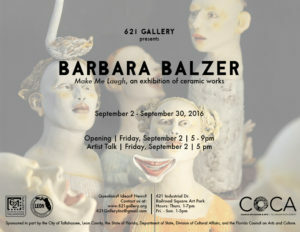 This month, the main gallery will be exhibiting “Make Me Laugh,” featuring works by Barbara Balzer, an incredible local ceramist with an impressive history and body of work. 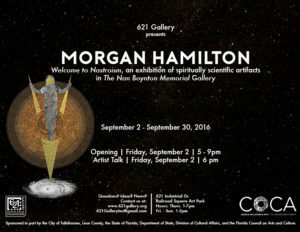 The Nan Boynton Gallery will be exhibiting “Welcome to Nastroism,” an exhibition of spiritually scientific artifacts by BFA ’13 Morgan Hamilton. Classic Blood Collective presents MFA works “A Summer of Straight-Up Killing It: MFA Candidates From FSU” in the 621 ANNEX with works created over the summer while Tallahassee was on academic hiatus. 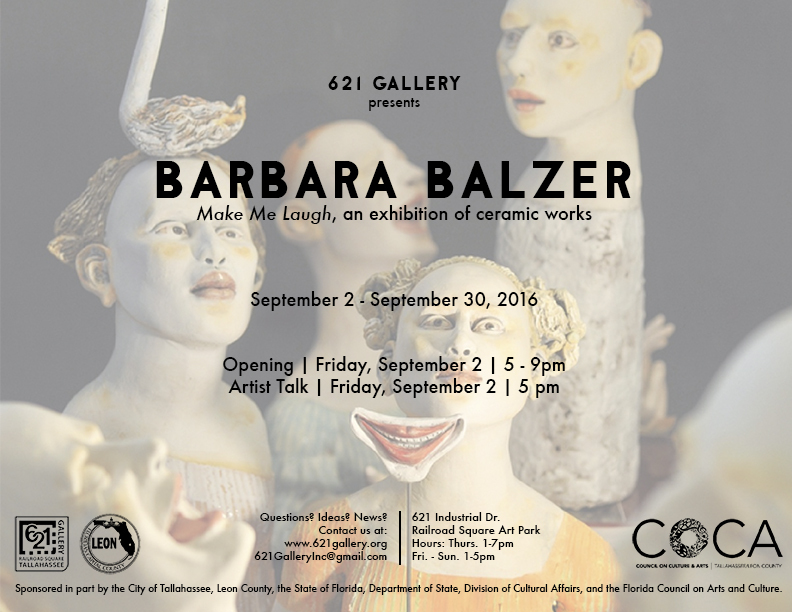 Our exhibiting artists, Barbara Balzer and Morgan Hamilton, will be giving artist talks to the general public starting at 5pm on Friday, September 2. For more information, check out this event’s Facebook Page!